Please make all inquiries by text or call to: 260 901 6178. King is the prettiest, most in your pocket, sweet-hearted guy you'll ever meet. If horses are your therapy, He is definitely therapeutic! He has a lovely flowing mane and tail for days....and with that puppy dog personality, you can't help but fall in love with him!! He is absolute as gentle as they come, he is super kind, willing and very laid back. He has a soft face, moves off your legs well and has a great stop! 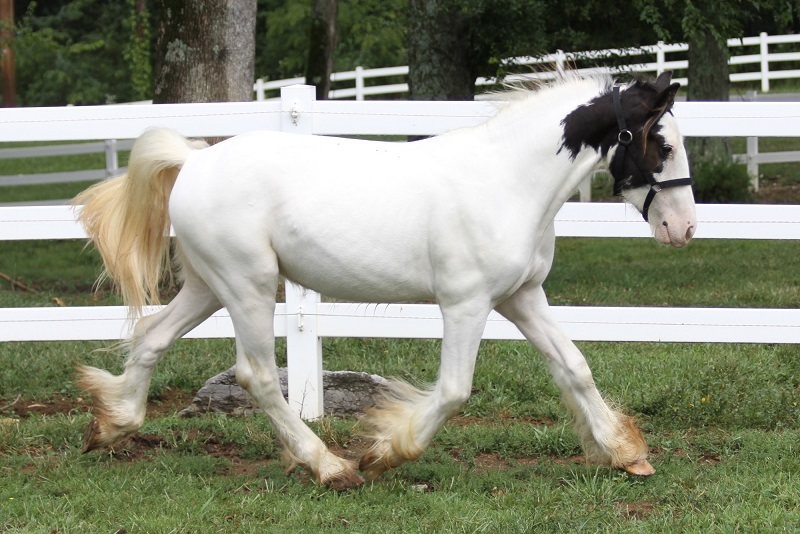 He has been shown and would make a great dressage horse! He is happy and comfortable out on the trail! He has been used as a Children’s Lesson horse in a small program. He is a sweet, in your pocket type, but still very respectful on the ground. He is easy to catch, does well stalled or pastured in a group. He will load in and back out of the trailer. He has excellent ground manners and is great with his feet! He is safe and gentle for all levels of riders. He stays broke, you can let him set for weeks without riding. He is sure to find a place in your barn and heart!